State of the Brawl 2016: Street Fighter V, King of Fighters XIV and co.
Leave a Comment on State of the Brawl 2016: Street Fighter V, King of Fighters XIV and co.
With 2016 rapidly drawing to a close, what better time it is to look back at the state of fighting games, in a year that featured some of the biggest names in the genre making gigantic comebacks. 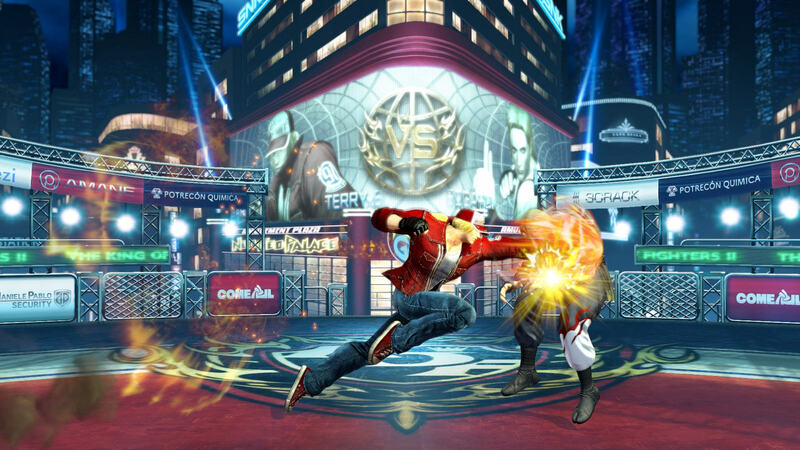 King of Fighters and Street Fighter, in particular, were rivals since their debut in the late 1980s and early 1990s, and after some rocky years at the beginning of the new century, there hasn’t been a better time to be into fighting games than today, with some of the best both Capcom and SNK have ever put out. Unfortunately, one of them didn’t quite hit the ground running. Street Fighter V‘s release back in February met a lackluster response from the general public given its barebones initial run of the game, featuring little to no single-player content and questionable online infrastructure, as you can see in our review. Since then, Capcom has continually updated Street Fighter V. Modes you’d come to expect in a full-fledged fighting game have finally made their way to the game, such as trials, a meaty story mode, and even a better online functionality. And while the jury is still out whether the latter is any better, given the horrendous issues with people quitting mid-fight during ranked matches in order to avoid losing points, the rest have worked out quite well. Story mode in particular is far better now than the pitiful excuse that was featured in the original retail release. 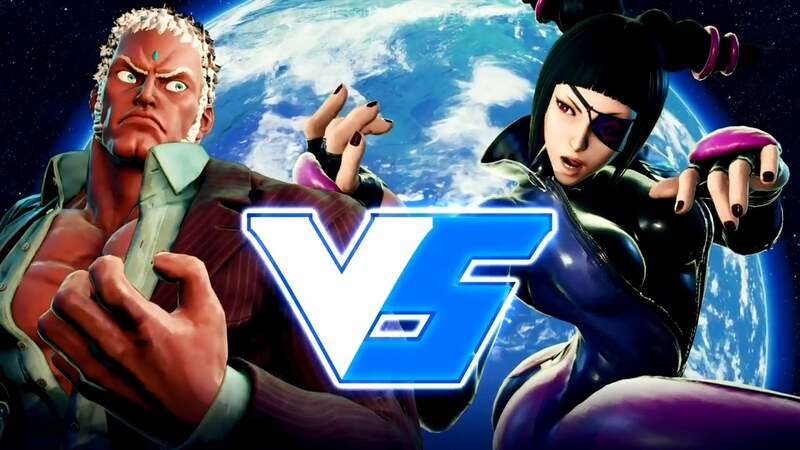 There’s also the inclusion of an excellent roster of six DLC characters that compose Street Fighter V‘s season pass: Alex, Balrog, Guile, Ibuki, Juri, and Urien. Thanks to the game’s rocky release and Capcom’s maintenance of the entirety of Street Fighter V‘s internal currency model, half of the new cast was made available for free for months. Since then, the new fight money and real cash system has been turned on for good, which means that if you want these new fighters, you’re either gonna have to grind the in-game cash for a little while or cough up actual dollars. Either way, you’ll get access to an interesting and highly varied group of characters which fit in extremely well with the rest of the initial cast. It’s clear that Capcom has done its homework when it comes to bringing new content into the game and treating it like a platform to be added upon instead of pushing an entirely new model every year, but then again, it hasn’t been a full year since the base game came out, so who knows! My hope is that they’ll keep their promise and keep releasing new characters by using the same model as this initial season. Considering how smooth things are right now, or smooth as they can be these days, it’s a model that’s been proven successful. Then again, that success is measured at this point in time months and months after the initially disappointing release which might have driven early adopters away. On the other side of the fence we have King of Fighters XIV, a beast that seemingly came out of nowhere and is currently rocking both the casual and competitive scenes. Not that Street Fighter V isn’t seeing a surge in popularity, mind, but KOF‘s return to the main stage is surprising, considering the rocky ground SNK found itself not too long ago after its acquisition and later re-branding. While the previous games were no strangers to success, XIV really feels like a revival to the franchise. Considering the years of recycling of sprites during the NeoGeo generation, it’s incredibly cool to see such a storied game making the jump to polygonal models that actually look as good, if not better, than what Capcom’s been dishing out since Street Fighter IV. Features-wise, King of Fighters XIV is no pushover either. It comes fully-featured and unlike Street Fighter V‘s so-so initial online, XIV‘s multiplayer works pretty well. Fans of the series can also breathe a sigh of relieve to know that the core mechanics that were so deeply ingrained over the years made the transition without a hitch. While I’ll never be as naturally inclined to pull off some of its special moves like I usually do in Street Fighter, it’s incredibly fun to see that my Buster Wolves and so forth still work in XIV. Skill notwithstanding, it’s awesome to see that this new version still feels like a King of Fighters game, regardless of the graphical makeover. I would be remiss if I didn’t mention a few other fighting games that also came out this year, as well as the ones that are still on the horizon. 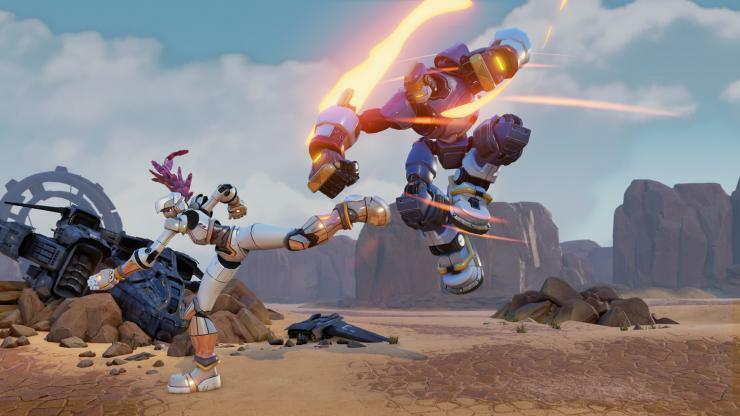 Sadly enough, Radiant Entertainment’s promising Rising Thunder went the way of the dodo following the studio’s acquisition by Riot Games earlier this year, which basically killed any chance of the game seeing release. Still, the little of it that did make it out proved that EVO’s Tony and Tom Cannon have what it takes to come up with an incredible fighting game, and considering Rising Thunder‘s pre-release success, it’s clear that whatever comes next is sure to be both absurdly approachable and deep at the same time. This year’s E3 didn’t feature a whole lot of fighting games, but the little that there were from them proved to be incredibly tough. Bandai-Namco’s Tekken 7, which should be coming out in early 2017 was one of my personal highlights at the show, proving that age hasn’t slowed down the franchise one bit, even if some of its core systems date back to the original PlayStation’s era. My preview pretty much covered my hopes and superficial thoughts on what was shown. I’ll be sure to share more on that game as it approaches release with hopefully a review. Lastly, one of the most beautiful 2D fighting games that I played back at EVO 2014 was updated a few months ago. Guilty Gear Xrd Revelator added a few new bits to the core game released a couple of years back. Considering the little that I’ve played of the SIGN, the original version and my non-existent experience with the upgrade, there’s little that I can say about Guilty Gear, other than gush about how good it looks in motion and how much fun I had following EVO grand finals for SIGN in both 2015 and this year. Yes, I’m quite aware of my promise last year to get more acquainted with fighting games in 2016, but alas, we’re in November already and I’ve only made a tiny dent in two, three of them. Man, it’s been a crazy year, give me some slack! Still, I’m holding hope for next year. Street Fighter V will complete its first year out and get even more characters — Akuma’s just been teased this past weekend at Red Bull Battlegrounds tournament, even. With even Tekken 7 closing in (which coincidentally also features Akuma!) I’m sure I’ll get another go at possibility diving further into and coming out with a little bit more knowledge of just what makes fighting game fans tick that’s so unique and alluring. A N4G user was kind enough to remind me of a couple of fighting games I did not include in this article. Since I haven’t been keeping up with Mortal Kombat after the disappointing MKX, so I didn’t touch upon XL‘s release this year. It basically added even more off brand characters to the main roster, and touched up the original game’s entire online system. On the other side of Netherrealm Studios, Injustice 2 looks promising enough, but I’m just not sure how well the story will be in comparison to the original’s ridiculous premise for character balance. Power armors for everyone? Eh… okay? And honestly, I didn’t even know there was a new BlazBlue game out this year, but sure enough, BlazBlue: Central Fiction has just recently been released on PlayStation 3 and 4. I couldn’t find a whole lot of info on it, but safe to say being an Arc System Works game, it must be gorgeous and play like absolute madness! I had a fantastic time watching the finals for Chrono Phantasma at EVO 2014, it was no doubt the highlight of that tournament for me.